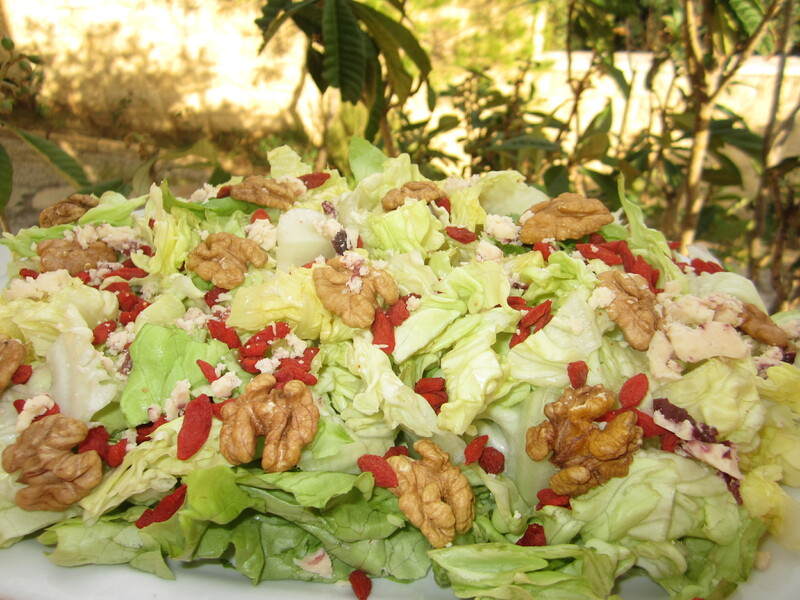 I started my lunch today with a delicious yet simple and nutritious salad made of lettuce, Goji berries, walnuts with 30g of creamy cranberry wenslydale grandma singletons cheese! The dressing was made of balsamic vinegar with a tablespoon of olive oil, rosemary, sage, thyme and celery salt! Goji berries, also known as longevity fruits come from a shrub that’s native to China. In Asia, goji berries have been eaten for generations in the hopes of living longer.Research shows that they are filled with powerful antioxidants and other compounds that will strengthen your immune system when consumed regularly! Walnuts with their highest Omega-3 content amongst all other nuts will help You become smarter and keep your brains alive when added to your daily food intake. The creamy cranberry wenslydale grandma singletons cheese is one of my favorite cheeses.Enjoying it in moderation is the best key to stay fit and healthy! I strongly recommend you try it and try other flavors such as the apple pie one! 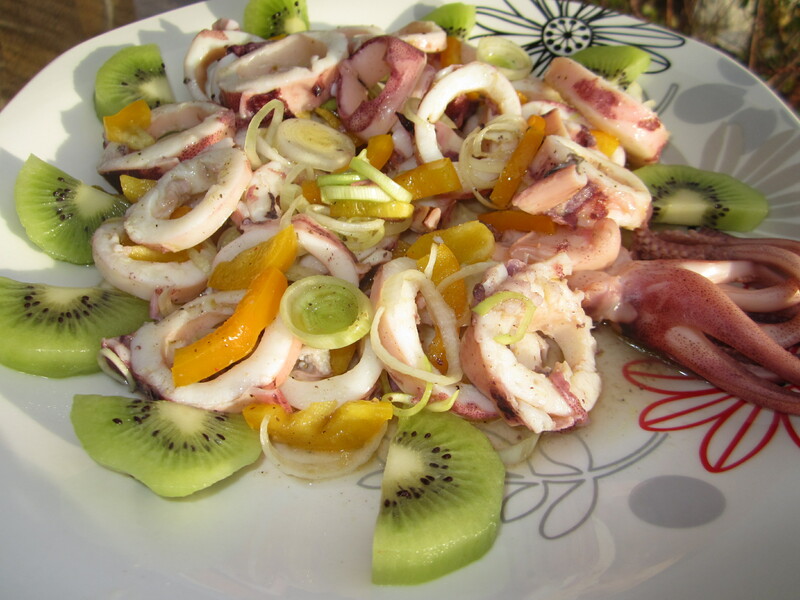 Then I enjoyed eating boiled calamari with onions, coriander, cinnamon that I sliced and mixed with sliced green onions, yellow peppers, grated fresh ginger, kiwi, lemon juice, two tablespoon olive oil, black pepper and celery salt.A great source of low fat proteins, satiating refreshing and delicious! Yellow peppers and kiwis are fully packed with vitamin C and fiber! Enjoy preparing this combination for lunch.Nothing beats the feeling of cooking and sharing healthylicious food! ← ~*Labneh buche de Noel!